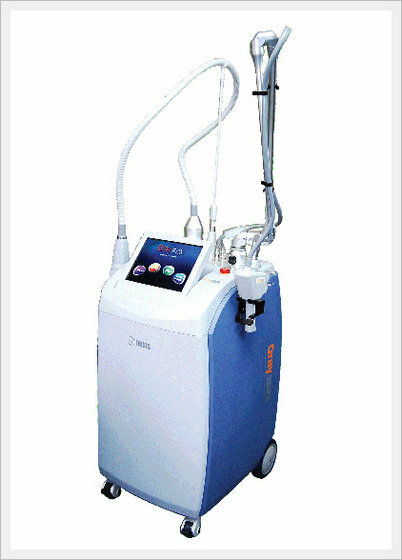 CO2 Fractional Laser System (IR+RF) - DOSIS M&M Co., Ltd.
Qray-FRX is the world's first ablation and non-ablation combined technology. Qray-FRX is combined with two main technologies for not only re-surfacing but also collagen re-modeling. 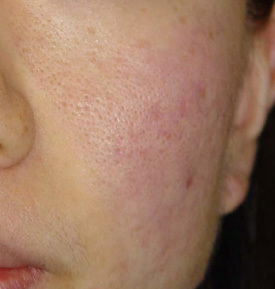 CO2 fractional laser is a perfect solution of all fractional procedure. In order to reduce thermal damage and to enhance the beam quality, Qray adopts 5 different scanning modes including random and double-line ,and equipped with RF tube. 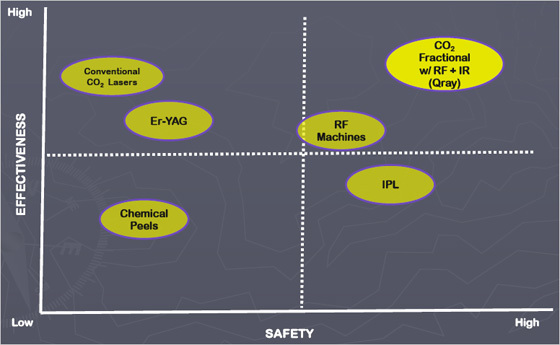 In consideration of collagen re-modeling, Qray-FRX adopts also IR +RF technology. 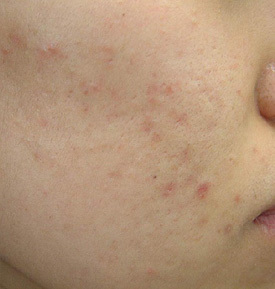 This technology benefits skin lifting by the role of infra-red and radio frequency as the stimulation of dermis layer without epi-dermal damages. What is LIGHT (IR+RF)mode for ? 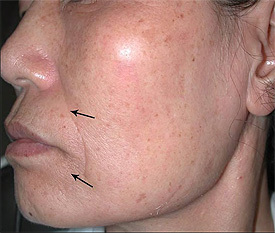 CO2 fractional laser effects on epi-dermal layer dramatically but, there is some limitation to effect on deep dermis layer. 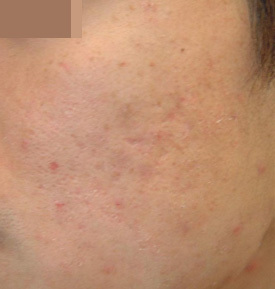 That is, CO2 fractional laser has an excellent result for the resurfacing procedure such as acne scar and wrinkle treatment. 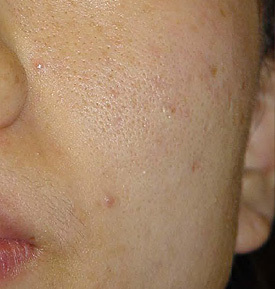 On the other hand , in fact CO2 fractional method is not the best for the procedures that requires collagen remodeling such as skin rejuvenation. 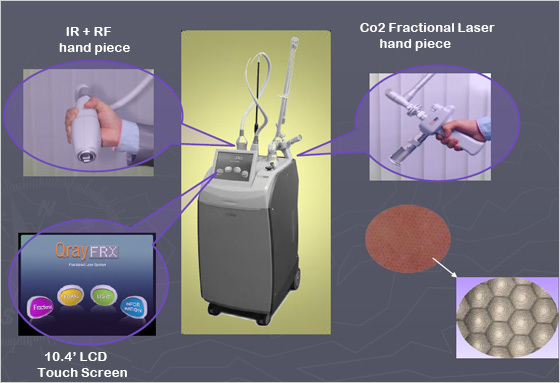 To overcome this kind of weak point by the characteristic of CO2 fractional laser, Qray-FRX has come to adopt RF + IR technology combined on fractional platform. How does the 'IR+RF' work ? Qray-FRX's IR+RF has adopted the technology that radiate high radio frequency and infra red ray at the same time to maximize the cure effect of skin tissue. 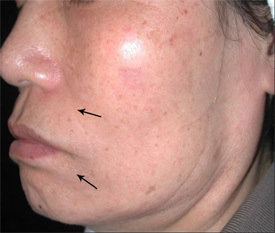 This new type of method supplements the weak point of existing high frequency method, and more powerful IR ray is being used to deliver thermal effect into DERMIS layer for the formation of collagen. Qray-FRX's RF is equipped with 2 pairs of bi-polar electrodes and enable RF energy to deliver onto dermis layer more efficiently and deeper. - Switchover to 'Standby Mode' automatically when the temp. 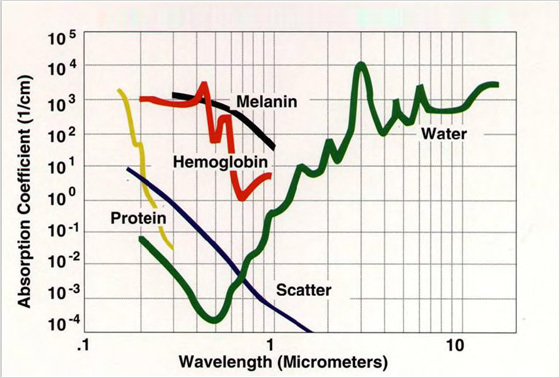 of skin surface gets high. It detects the existing high radio frequency energy, applies more energy, and - transmits thermal effect into the dermis layer and makes collagen be reformed more efficiently. - It is designed ergonomically with light weight for long time operation . - Dual type bipolar consists of 2 pairs thus the energy delivery is diversified to each side of bipolar pair, which means that the patient feels less pain. - It can be controlled by touch screen for the selection of operation mode, the strength of power and the degree of cooling. - Qray-FRX's handpiece guarantees up to 1 million shots of IR. -1. 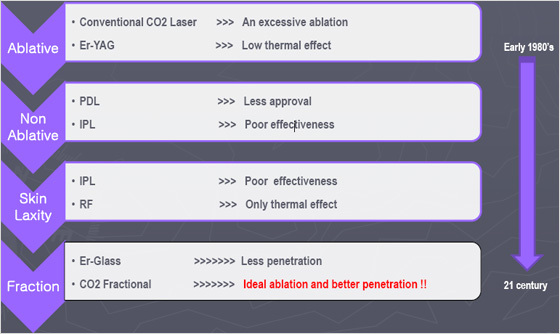 Three functions (CO2fractional laser, conventional CO2laser and IR + RF), are in one platform. -2. 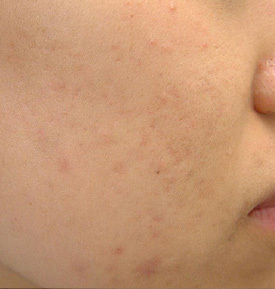 Using scatter mode, much faster procedure is available in fractional mode. -3. By the function of auto repetition mode (0.5/0.7/1.0sec), operation time for IR+RF procedure is nearly 3 times faster than others. -1. Waveguide RF tube : Adopting high power RF tube, the beam quality is superior than DC tube and laser beam is thinner and uniform thus, patients feel less pain and minimize side effects. -2. Various scanning modes : Qray-FRX"s unique scanning modes prevent patients from thermal damages safely. -3. 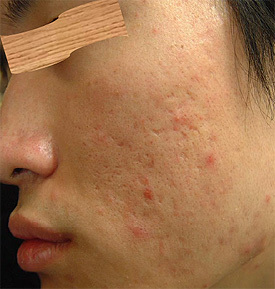 Dual bipolar electrode and contact cooling system : In IR+RF procedure, these two functions protect epi-dermis layer from the burning might be happened by overheat. -1. Qray-FRX has an access port for convenient diagnostic by connection with computer and easy to correct it in case of system error and easy to up-grade system. - 2. Qray-FRX adopts an independent operation module respectively. Therefore, even though one is not working the other is not affected.